Reaching Everest Base Camp from Nepal or Tibet are very different experiences. From Nepal, there is no road in the Sagarmatha National Park, so the only ways in are to trek or to fly by helicopter. In Tibet, a smooth, well-made road reaches to within a mile of the main base camp on that side of Everest. Here's an outline of the ways to get to Everest Base Camp (EBC) from either side of the border, the main things travelers see and do, and other important tips about the different journeys. Tibet Driving $$ Smooth roads, can walk from parking area to base camp, opportunities for cultural sightseeing on the way Quick ascent into the mountains and windy roads can be uncomfortable Travelers to Tibet who are not interested in trekking, are short on time, or want to pair EBC with other sights. 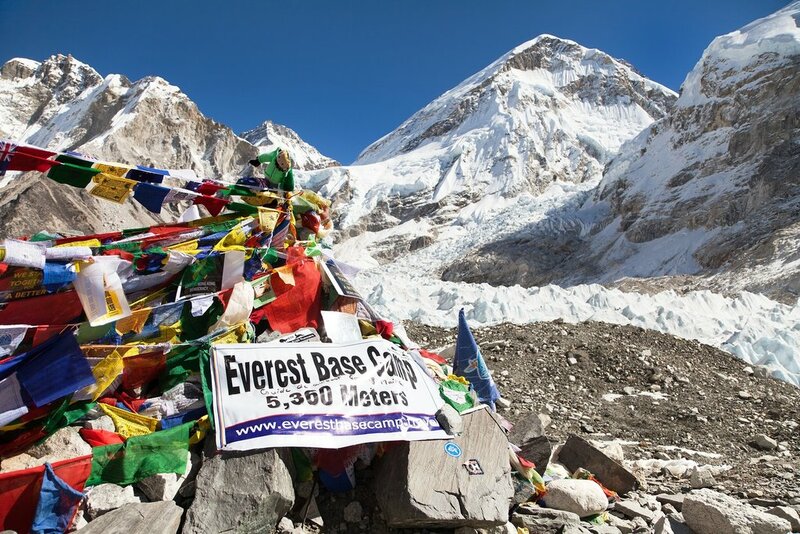 Trekkers looking to visit the most famous of Everest's base camps will start their journey in Nepal. It requires at least two weeks in-country to complete the trek (depending on the route you choose), an epic challenge with epic rewards—namely, experiencing the energy of a temporary community of climbers who are at the beginning or end of their Everest ascent. Travelers with less time can skip the trek altogether by booking a helicopter ride from Kathmandu. Go there and back in a day, or add a few days of trekking—either way, you'll pay a premium for the incredible convenience and views from the air. In Nepal, Everest Base Camp is 23 miles from Lukla. Most visitors head to the foot of Everest from the small mountain town as it has the closest airport. The roughly two-week in-and-out classic EBC trek passes through Namche Bazaar, Tengboche, Lobuche, and Kala Patthar. It offers incredible mountain views, Tibetan Buddhist Sherpa culture, well-developed trekkers' infrastructure, and accommodation ranging from camping and basic teahouse to luxurious lodges (you can see an example of a luxury itinerary here). 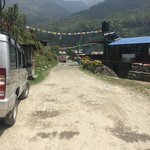 Fewer people these days trek the "Pioneer's Route" from the road-head at Jiri, about a week's walk below Lukla—but this longer trail, named for pioneering mountaineers like Sir Edmund Hillary who reached Everest before the airport was built in the 1960s, is still a way to get to EBC in Nepal. 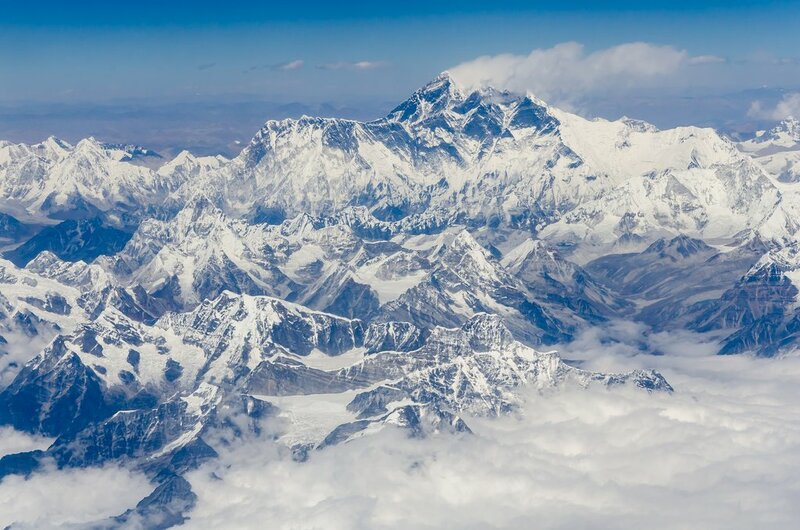 Getting to Everest base camp comes with a different set of considerations in Tibet, the autonomous region of China aptly nicknamed the "roof of the world" thanks to the soaring elevations of the Tibetan Plateau. It's not possible for most foreigners to travel independently there. You must travel with a local guide, although you can book a private tour so it's not necessary to join a group of strangers. Most travelers in Tibet start their journeys in Lhasa, and while getting to EBC from the city is quite a long trip, the good roads mean that it doesn't have to be the physical challenge that it is in Nepal. 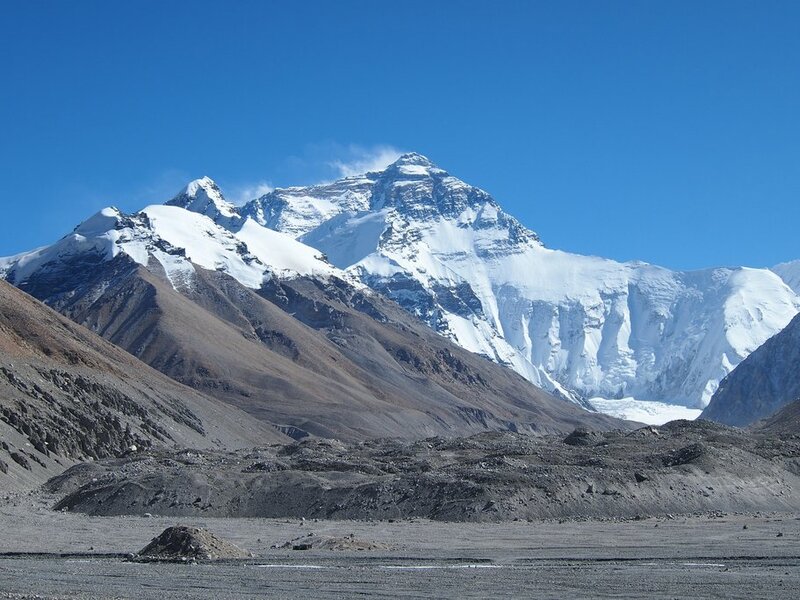 There are not one but three base camps on the Tibet side of Everest (called Qomolangma in the local language). On the North Col climbing route up the mountain there are two base camps: 'Everest Base Camp' and 'Advanced Base Camp'. In the Kangshung Valley, beneath the sheer east face of Everest, is the third base camp that is rarely used by climbers because the route is very dangerous. From Lhasa, the main EBC near Rombuk (also spelled Rombak and Rongbuk) is a two-three day drive. The roads are very good so it is a comfortable journey, especially if you travel in a comfortable minivan as many travelers do. However, the road is still long and winding, and the sharp increase in elevation can take its toll. The landscape along the way is largely dry and brown, with a few dazzlingly turquoise lakes making good stops along the way. Once you cross the high passes (16,400+ feet) that take you down into the Qomolangma National Park, the undulating Tibetan foothills turn into the enormous jagged peaks of Everest and friends. You can drive all the way up to Everest Base Camp in Tibet without exerting yourself for more than a couple of steps, should you wish. However, many travelers trek the mile or so beyond the parking lot to EBC itself. This can be more difficult than it sounds—at 17,056 feet, the oxygen is very thin. Travelers who come overland in just a few days are often not very well-adjusted to the altitude, so even this short walk shouldn't be underestimated. The accommodation in Rombuk is very basic, either in a lodge or at the monastery, with shared squat toilets and no bathing facilities (although it is usually too cold for this anyway). But, with electric blankets on the beds at the lodge, a cozy dining hall with a fireplace, and incredible Everest views from the rooms, any hardship is worth it. It is sometimes possible to continue overland to Kathmandu, Nepal rather than return to Lhasa. However, the Chinese authorities often close the border with little or no warning and for extended periods. so this option shouldn't always be relied upon. Travelers arriving from Beijing can also take the train overland from Beijing to Lhasa, before traveling by road to EBC. 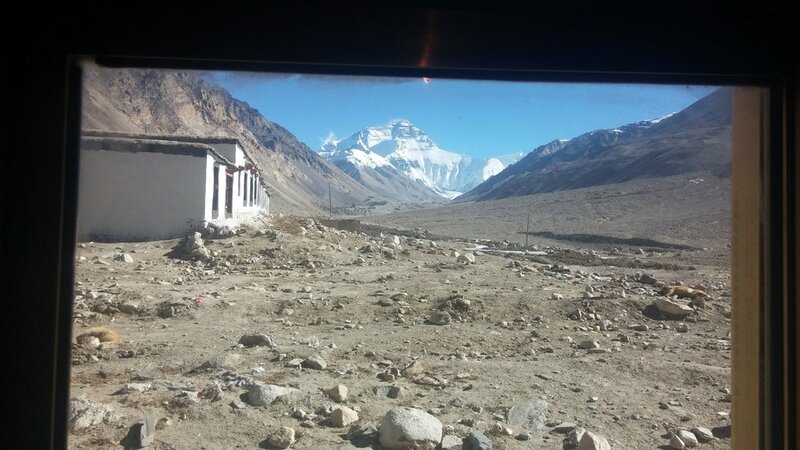 Check out this article on the Tibet train journey for more. The most common way of trekking to EBC in Tibet is from Tingri. The 43-mile route is at very high altitude, so it's important to be well acclimatized in Lhasa before starting. Accommodation is in tents or basic accommodation in small villages, and even in the warmer months the overnight temperatures can be very cold. This is a very challenging trek because of the altitude and the temperatures, so should only be attempted by experienced trekkers. The trek itself takes five days, and each day consists of several hours walking—sometimes up to eight. Peak season for trekking this route is May-June and September-October. This may suit travelers who want an EBC trekking experience but can't do so in Nepal during that country's best seasons for trekking (March-May and October-December). An alternative trekking route is between Rombuk/EBC and Advanced Base Camp (21,325 feet)—believed to be the highest trekking trail in the world. The trail is 17 miles and takes five days. If the Tingri trek is high altitude, this one is exceptionally high altitude, so extreme care should be taken. 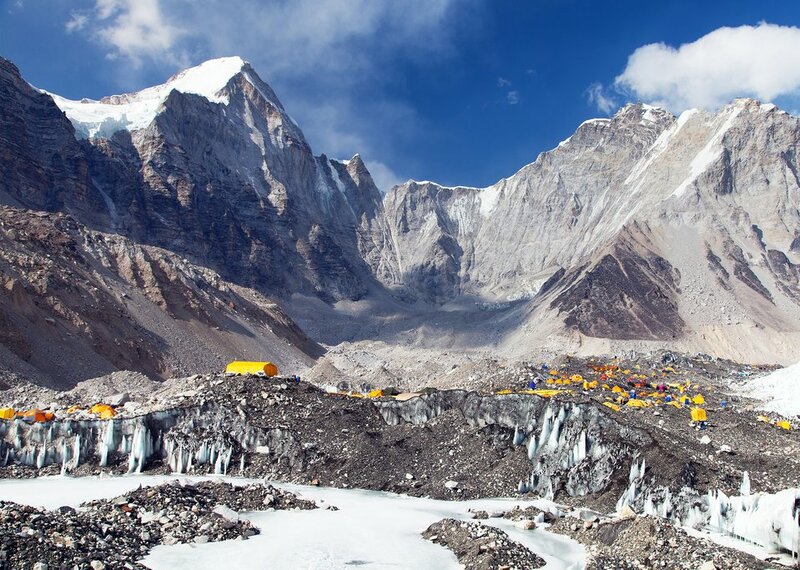 However, trekkers don't need to spend a night sleeping at Advanced Base Camp, which could be dangerous.